The elementary school has a bilingual program of English and Japanese, with students studying in English for about 70% of the time, and in Japanese for about 30% of the time. With international teachers, the students study English, mathematics, science, social studies, art, music and PE. Most of the learning takes place in school. PE lessons take place in the park across from the school and students have swimming lessons at a local sports center in the summer. Students enjoy a variety of fun, educational field trips throughout the year. With Japanese teachers, students study Japanese, Japanese math, Japanese science and Japanese social studies in line with curriculum prescribed by Japan’s Ministry of Education. 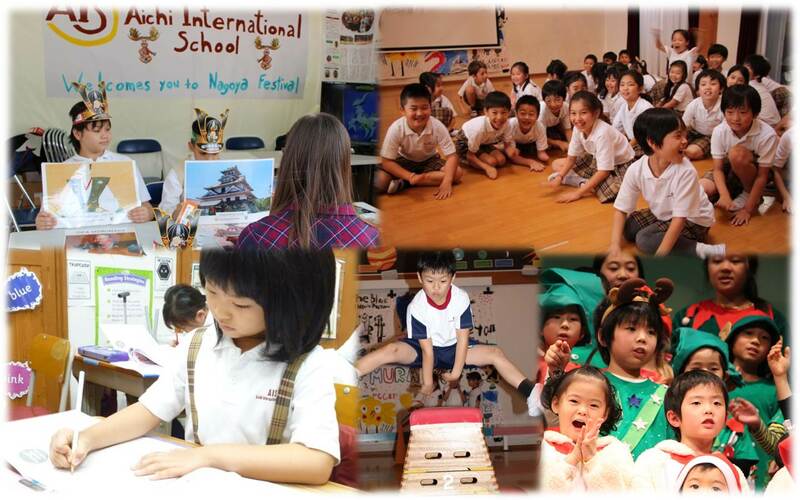 Although international students are not required to be proficient in Japanese to enroll at AIS, students are encouraged to learn the language in the spirit of the school’s bilingual program. Japanese as a Second Language (JaSL) classes are available to support our international students. 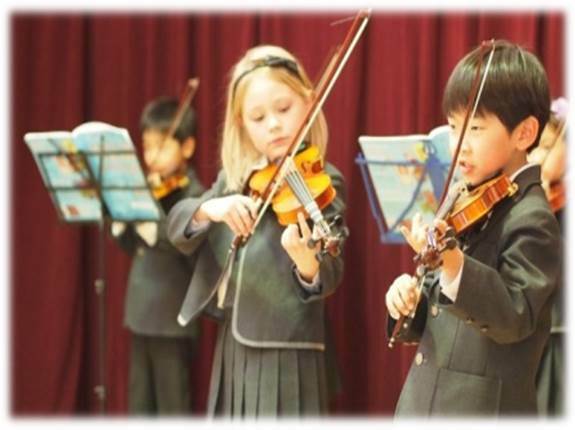 Finally, all students in the elementary school have the opportunity to learn to play violin, with an outside specialist teaching the students once or twice a week, as part of the curriculum. Objectives for each subject below are grade appropriate and form the basis of the dual curriculum program at AIS. ・Shows interest in English and strives to improve communication skills. ・Talks about own thoughts precisely, and listens carefully to the intentions of others. ・Writes effectively and logically to express own thoughts about subject matter. ・Grasps content and meaning of reading material and expands own thoughts. ・Understands sentence construction; can read/write words appropriate for grade. ・Shows interest in Japanese and strives to improve communication skills. ・Understands sentence construction; can read/write kanji prescribed for grade. ・Shows interest in amounts and figures, and strives to improve math learning. ・Has acquired mathematical thought, and can understand math problems logically. ・Understands decimals/fractions, and can calculate, measure and graph numbers. ・Has acquired accurate processing skills for amounts and shapes. ・Pursues natural phenomenon (NP) and applies scientific rules to daily life. ・Seeks to understand changes and causes of NP and solve problems. ・Can perform observations and experiments, and express the process and result. ・Understands characteristics, regularity and relationships of natural phenomenon. ・Shows interest and strives to learn about other countries, societies, and history. ・Can understand and make appropriate judgments about societies and ethnicities. ・Can effectively use statistic materials, maps, photos and illustrations. ・Has an accurate knowledge and awareness of various foreign societies. ・Shows interest and enthusiasm towards physical exercise. ・Considers issues about exercise, health, safety, and makes appropriate decisions. ・Has acquired basic movement and motor skills required for physical exercise. ・Has acquired an accurate knowledge of health and safety. ・Shows interest in creative activities and strives to use art to express oneself. ・Can select shapes, forms and colors to create ideas of expression. ・Uses creative ability to express oneself with own emotions. ・Appreciates the virtues and beauty of artwork. ・Shows interest and appreciation of music, and strives to express oneself musically. ・Can freely express one’s ideas and thoughts in musical activities. ・Sings in a natural and appropriate voice, and plays instruments correctly. ・Listens appreciatively to musical concepts. ・Shows interest in home life and strives to improve daily activities at home. ・Considers issues about home life and how to solve them in one’s own way. ・Acquires fundamental skills required for daily living and home life. ・Acquires accurate knowledge about daily living and home life. ・Shows interest and appreciate of the violin, and can express oneself musically.